Here's another in PR News' series of mini-case studies showcasing successful agency/client partnerships. 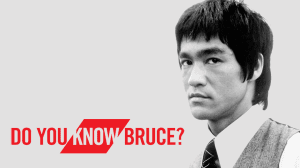 With this question, agency Copacino+Fujikado challenged residents of Seattle on their knowledge of the city’s favorite adopted son: Bruce Lee. The Wing Luke Museum of the Asian Pacific American Experience partnered with the agency to drive attendance to its Bruce Lee exhibit, which began late last year. Outside of Hong Kong, this Seattle museum is home to the only Bruce Lee display in the world. The problem the partners faced wasn’t with the exhibit itself—Bruce Lee holds enough cultural cachet to drum up a cosmic amount of interest on his own—but rather, they had to battle the local perception of the museum. For Seattle residents, the Wing is a relatively unknown museum and not a go-to destination like the Seattle Art Museum. Many see it as a museum that's exclusively for the Asian population. Luckily, the Bruce Lee exhibition was the perfect antidote to the Wing’s perception problem, they just needed a little agency help to spread the word. After exhaustive research on the man underneath the yellow jumpsuit, the partners found that Bruce Lee has potentially universal appeal, stretching far beyond the realm of martial arts. Piggybacking on Lee’s depth of character, the partners developed a three part series that would highlight different elements of the man— Bruce Lee: The Martial Artist and Philosopher, Bruce Lee: The Groundbreaker and Icon, and Bruce Lee: The Artist. With this structure in mind, the partners set out to generate buzz around the exhibit. They blanketed Seattle and social media with yellow jumpsuits—made famous by Lee in his film Game of Death—and successfully secured the participation of politicians, actors and reporters that all shared photos and videos of themselves donning the iconic yellow jumpsuit. To top it all off, the partners got together with Seattle Mayor Ed Murray to declare Oct. 3 Bruce Lee Day, which was celebrated at The Wing Luke Museum by Seattle City Council Members sporting yellow jumpsuits. As a result of the partners’ efforts and creativity they secured over 32 million impressions on Twitter, many national and local outlets picked up the story of the exhibit and the news spread to 13 countries around the world. Visitors to the museum increased by more than 670 percent during their efforts, while museum membership and general admission revenue continues to grow. The partners were also awarded a 2015 PR News Nonprofit PR Award for their ingenuity in bringing this event to the next level.